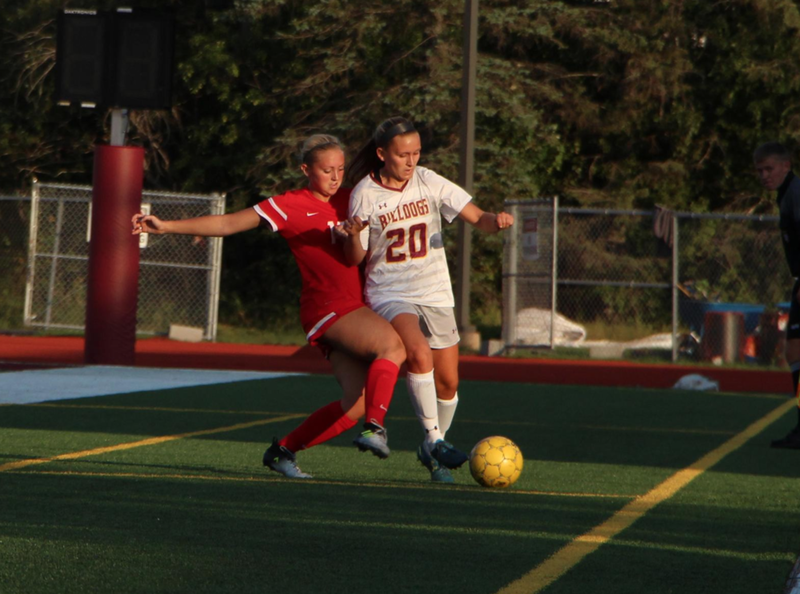 All streaks must come to an end, as was the case for the University of Minnesota Duluth women’s soccer team who saw its four-game win streak to begin the season, come to an end on Saturday. The Bulldogs (4-1-1; 1-1-1 NSIC) faced a tough opponent in the No. 15 Minnesota State-Mankato Mavericks. The match was scoreless after regulation, but Mankato’s Morgan Cottew sent UMD packing with a goal at 94:06. The Bulldogs fall to 8-19-4 against the Mavericks all-time following the loss. With Saturday’s loss in the rearview mirror, UMD would have to up its game against Concordia-St. Paul. A goal from Golden Bears’ Hannah Pavek at 9:13 put the Bulldogs in unfamiliar territory: trailing for the first time in nearly 460 (459:19) minutes this season. Another goal in the 35th minute tilted the favors even more in CSP’s direction. But the match wasn’t over yet. Sophomore midfielder Emily Hinz netted her first collegiate goal at 65:16 by rocketing home a shot from just outside the 18-yard box to cut the Golden Bear lead in half. Junior defender Lizzy Fontes used her head to knot things up at two apiece at 74:36 with her first goal of the season. Hinz lobbed a ball high in the air as Fontes bolted into the box and headed the ball into the lower left corner. Strong winds played a major factor in the game, as all four goals were scored going with the wind toward the east end of the field. UMD will next play at Minnesota State University-Moorhead on Friday, Sept. 22 at 3 p.m. and will return home on Sunday, Sept. 24 at 1 p.m. to face Northern State University.